There are a number of greener textiles ranging from organic cotton to cutting edge silks and wools, but one of the more interesting apparel choices involves repuposing recycled plastic bottles. The fabric is called RPET which is simply recycled polyester made from post consumer plastic bottles. One potentially lucrative uses of this textile is in the fabrication of employee uniforms. By using RPET for employee uniforms, companies looking to introduce sustainability programs enhance their corporate reputation while getting a leg-up on their competition. 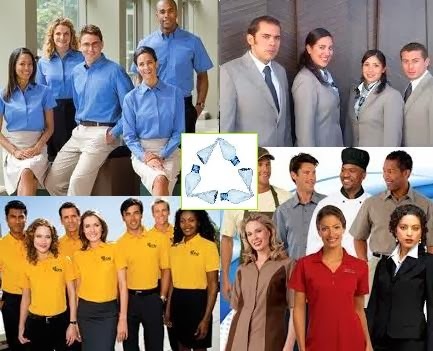 Employee uniforms are a commonly overlooked item and what makes the RPET uniforms so compelling is the fact that they can enhance corporate sustainability without increasing costs. The uniforms are already budgeted, and by using recycled material companies can improve their sustainability profiles without incurring additional costs. While companies love the low cost, employees love the garments themselves. This product responds to consumers that are demanding that companies be more sustainable and it enfranchises employees who want to work for more responsible companies. It specifically ties in to the growing demand for more sustainable clothing. The RPET product is but one of a spate of greener clothing options.When combined with marketing that targets employee uniforms, it represents an ideal marriage that offers a win-win for companies, consumers and employees. rPET and polyester sheds harmful microfibre pollution when washed. Not so green after all! Hemp is a better performer across the board.